The group stood in peaceful protest in front of Parliament at Wrightson Road, Port of Spain in response to last Friday’s protest by T&T Cause — a coalition of local evangelical churches who are calling on legislators to keep buggery as a criminal offence on the law books — all in defence of preserving family values. Newsday spoke with Colin Robinson, director of Caiso – an organisation formed to promote inclusion and diversity of all citizens regardless of sexual orientation or gender identity. Robinson said the gathering was formed because the group believed in inclusion. Asked about the possibility of all groups coming to some consensus, he seemed doubtful and stated “to each his own faith — to each her own sexuality. Actress Penelope Spencer said the group did not want to force children into homosexuality. Radio and television personality and actress Nikki Crosby told Newsday she believed every national has to be respected. “I think that is what we are losing in society right now, the respect for each other. 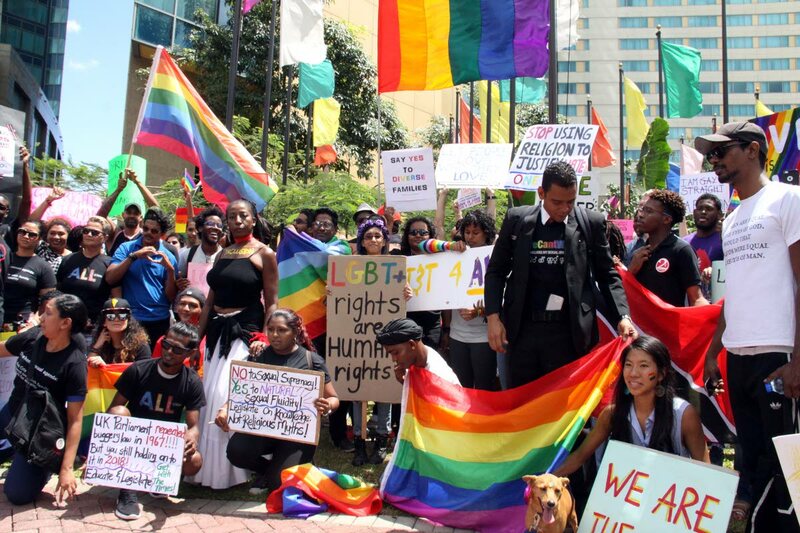 The LGBT community and allies, as well as the evangelical church community, both await the outcome of a High Court ruling, on Thursday, on the constitutionality of the law which criminalises buggery. Reply to "LGBT community and allies make bold statement"